Do you ever have the day when you walk into the grocery store and everything you need is on sale. It's like they organised their coupon flyer just for you--total kismet! And then the cashier hands you your receipt and tells you how much money was just saved. And then in your mind you immediately can justify all the purchases you didn't really need but just wanted. 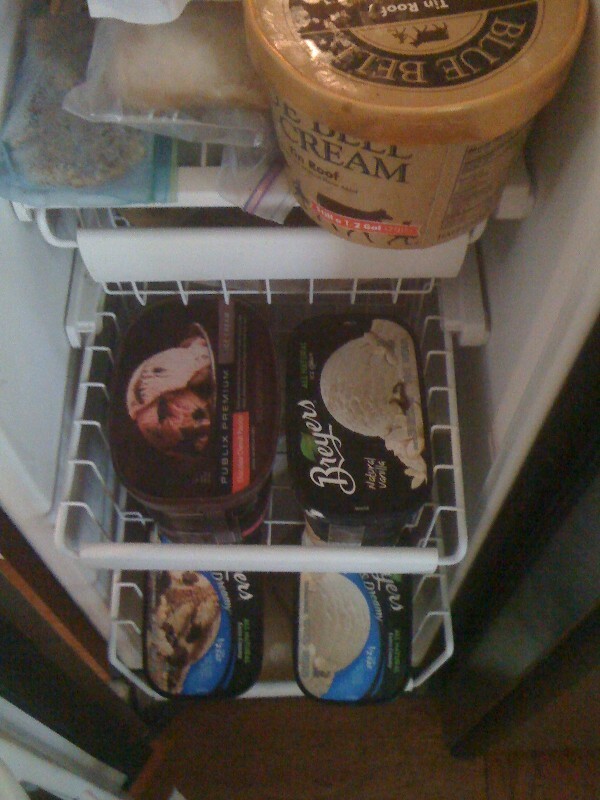 And then you come home and realise that you didn't even use to buy ice cream and now look at ya! oh yes...BOGO is my weakness.